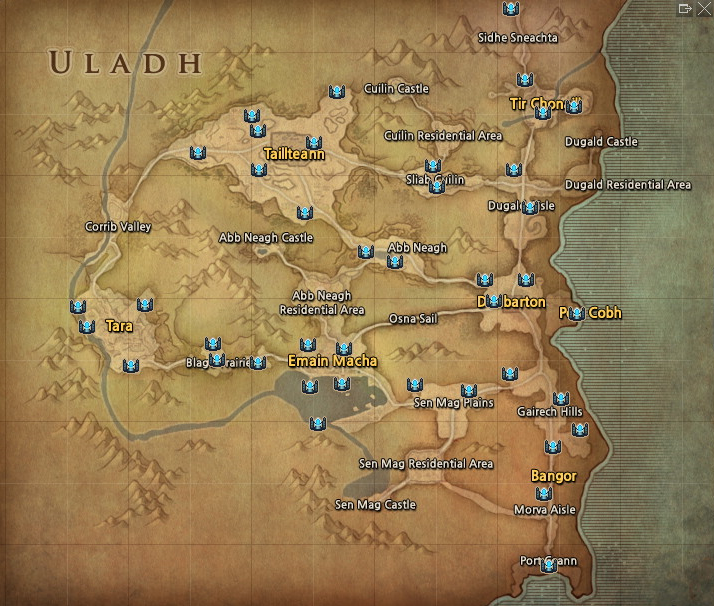 Uladh is one of the three known bodies of land on Erinn, the other being Iria and Belvast. Most of the known area of Uladh is governed by the Aliech Kingdom in Tara; though previously it was the governed by the Ulaid Kingdom in Emain Macha. Tir Chonaill remains as something of an independent body. The kingdom of the Partholons and its capital, Avon, was once located in Uladh. Uladh utilizes Moon Gates for fast traveling. This article contains contents that are not official. The following information has not been officially released by Nexon America and is original work of an author or authors. Please use the discussion page for suggestions on improvements. This page was last edited on 30 January 2018, at 02:49.